The beautiful 'city of sand on the sea' Balasore or Baleswar is situated in the District Balasore in the state of Odisha. Balasore came to be known from the Persian word, Bala- e-sore or 'Town in the sea'. 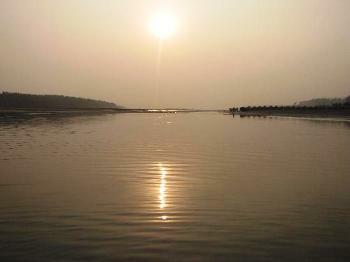 Kharasahapur a costal village is situated at a distance of 37 Kms. towards south east of Balasore the Dist. Headquarters. Close to Sea Beach a small temple named “Mangala “ is worth seeing. It is a Saktipitha . A tourist visiting the temple should not miss the chance of enjoying the blue view of Bay of Bengal enriched with calm and serene atmosphere. Fishing Jetty located 1 Km. from the spot is further attraction to tourist. Fishing by small boats and Motor launch with local fisher folk is very Interesting.